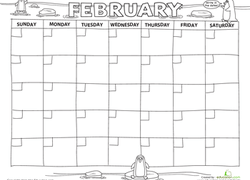 Kids learn about the shortest month of the year with this fill-in-the-date calendar. 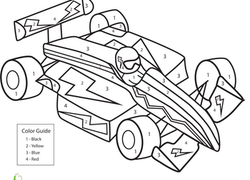 With pictures they can colour in, it's sure to keep them entertained. 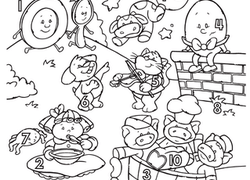 Your preschooler will get some counting practise as she colors. Counting flowers and petals can help reinforce what she knows and boost confidence with numbers.